What is this brand thing really about, and how does it translate into revenue, cash flow, and a stronger business? Everyone who "claims" to know anything about business is talking about the need to create a brand. Whether it’s building, creating, or growing a brand, as a business owner or aspiring business owner, you’re sure to get some version of brand strategy on any given day. What does it really mean for your product, service, or business? Inside this must-have book, Rachel expertly leads you step-by-step through her signature Brand. Sell. Profit.™ System that will help you connect the dots between crafting a remarkable brand and generating revenue. What makes both Oprah and Apple gangsta, incredibly profitable, and what you can learn from them. The first and most important person you absolutely have to sell to get your dream prospects throwing money at you. The best hacks and tips for making social media work for you, even when you’re NOT working. What Vegas and New York City have to do with creating an amazing brand. How a major personal setback led to a powerful mindset shift for Rachel and helped fuel her business success. From the Amazon bestselling author of Destination Greatness: A Guide to Stepping Outside Your Uncomfortable Comfort Zone, comes the book you’ve been waiting for to take your brand and your bank account, not just to the next level (that means different things to different people), but beyond even what you can imagine. Don’t delay or overthink this. Grab this book now! 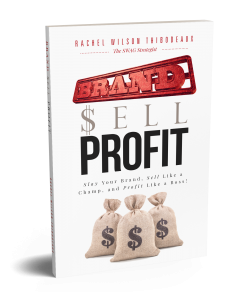 This time next year (or 90 days from now) when you’re dealing with the same challenges that are holding you back, you’ll wish you would’ve gotten Brand Sell Profit sooner. Thank you for all your help on LinkedIn! Since working with you I have increased my connections, booked more appointments and discovered just how much I can help others. I resisted working with a coach or strategist at first, but so glad I decided to work with Rachel. It’s hard to deny getting two new clients, within 60 days, one of which added over $2000 to my bottom line. 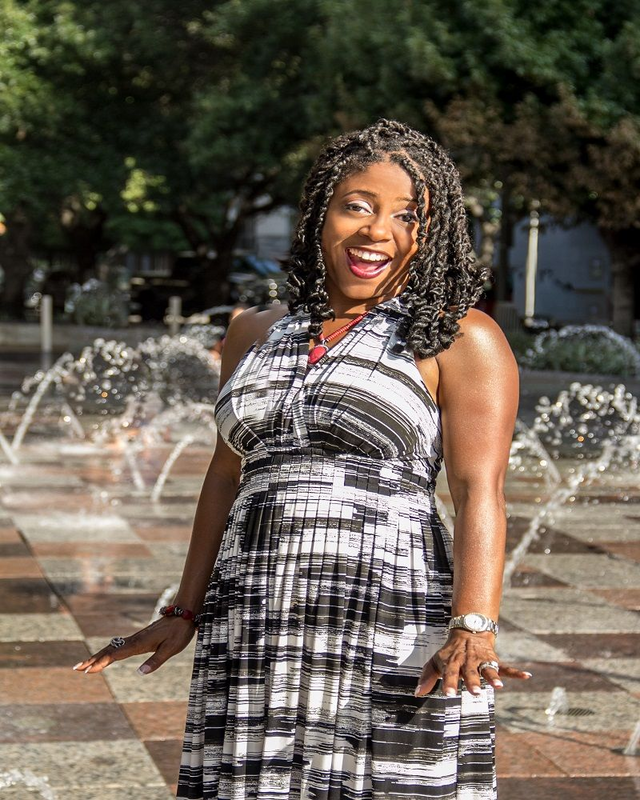 Rachel Wilson Thibodeaux, also known as the SWAG Strategist, loves God, her husband, business, shoes that make her taller, and chocolate. Sometimes, unfortunately, chocolate takes priority. Don't judge her. Rachel is an award-winning speaker, business and brand strategist, social media marketing consultant, and author. She is Founder of SWAG Strategy Solutions where SWAG is not just a cool name. It's an acronym that stands for Strategic Women Achieve Growth. Visionary, go-getter entrepreneurial women, service-based entrepreneurs, and other purpose-driven leaders look to Rachel when they want to develop much more effective brand and marketing strategy that leads to cash flow. She enjoys helping her clients find ways to disrupt their market. A content-rich, powerful speaker, she has shared the stage with the likes of Robin Roberts of Good Morning America, as well as bestselling author, militry hero, and former Dancing With the Stars winner J. R Martinez. Rachel resides in the Houston area with her husband and dog-daughter, the other Olivia Pope.